Songwriting tools can advance your songwriting quickly if you use them regularly and in a way that compliments what you’re trying to learn. Pat Pattison’s book “Writing Better Lyrics” is a great starter book. It includes a chapter dedicated to building and using worksheets in your songwriting as a key songwriting tool. If you’re learning how to write songs, Pattison is one of the best songwriting teachers out there. Having this book in your library is a must. His book has several key chapters on how to use worksheets as key songwriting tools within your songwriting process. 1 Get your lyric idea focused enough to find some expressive imagery. 2 Create a list of words that express your idea in a way that develops a consistency throughout the song and helps you develop “power positions” using the right words within the song. 3 Find rhymes and words you would never have thought to use if you were just staring at a blank sheet of paper. 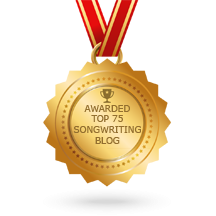 Use the worksheets to start your own songwriting process. Don’t become frustrated of feel overwhelmed. The first few times you use songwriting tools like worksheets will seem awkward. But hang in there. Eventually, you’ll get the hang of incorporating the sheets into your songwriting work flow. Blow are links to adaptations of the sheets Pattison outlines in his book, plus a few of my own. One thing to keep in mind when you’re using worksheets is that they’re a tool – they are not rules. If you only use the rhyme sheet to log a list of twenty rhymes and use none of them, that’s OK. Worksheets will help guide you through a thought process. How you choose to ultimately use the worksheets in your own songwriting is up to you!